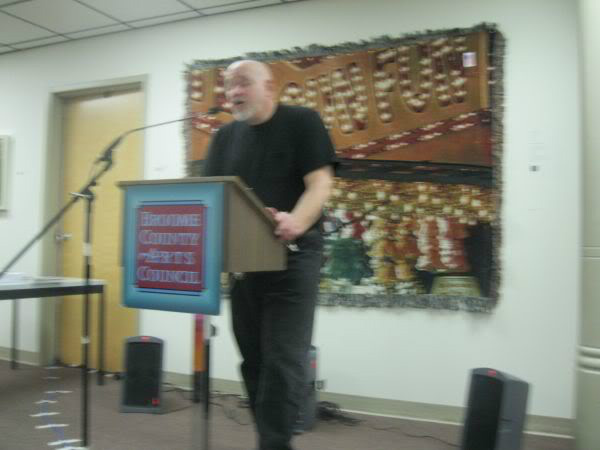 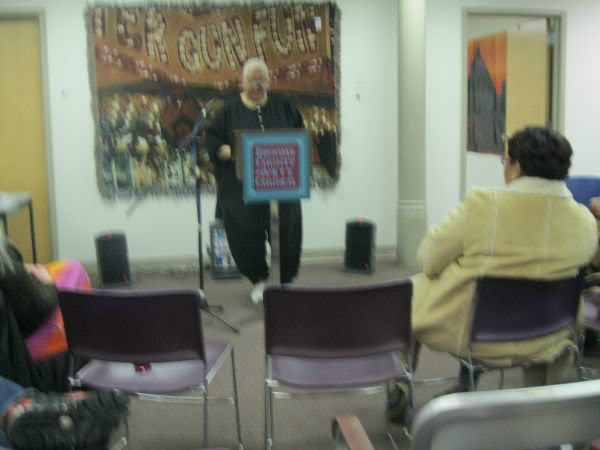 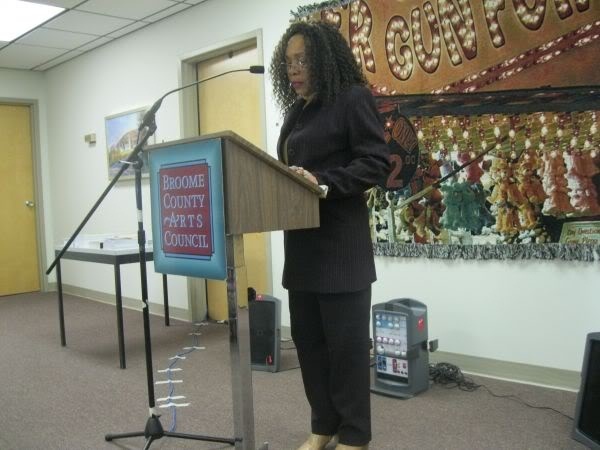 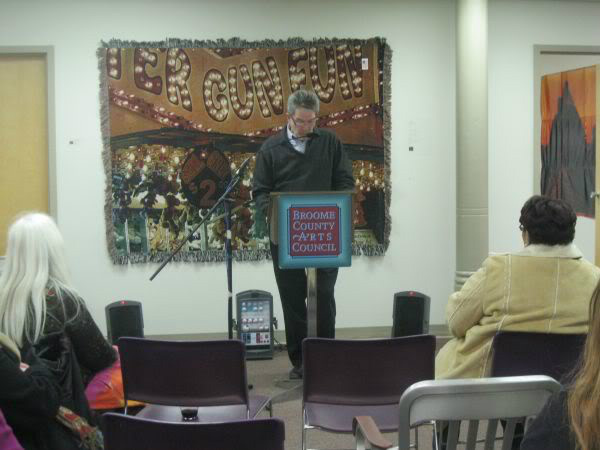 Marilyn E. Garcia Reading Poetry at the Broome County Arts Council with other local Poets and Writers. 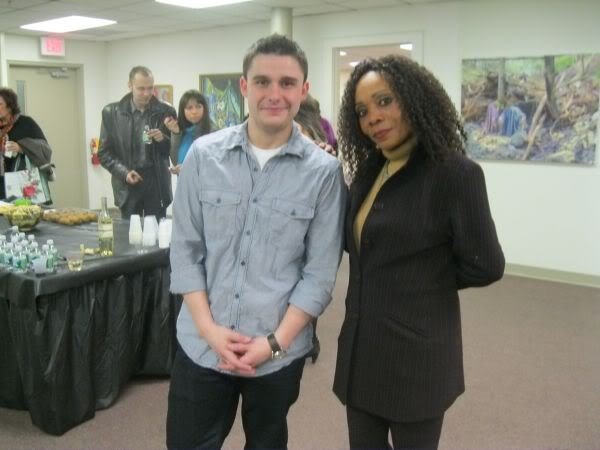 Broome Review Founder/President Poet Laureate Andrei Guruianu and Binghamton Poetry & Writer's Group Founder/President Poet Laureate Marilyn E. Garcia. 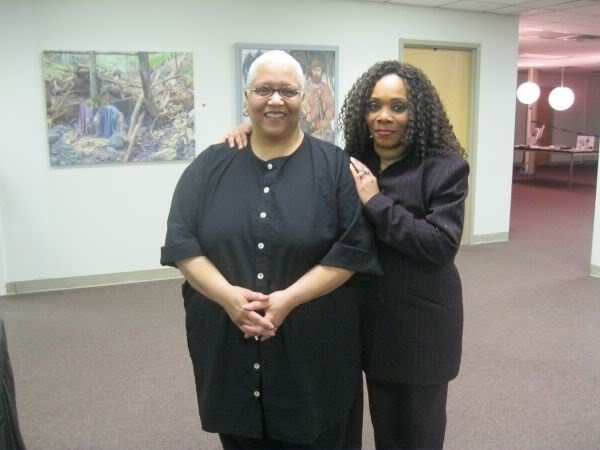 Broom County Arts Council Director and Poet Sharon Ball and Binghamton Poetry & Writer's Group President & Founder Marilyn E. Garcia. 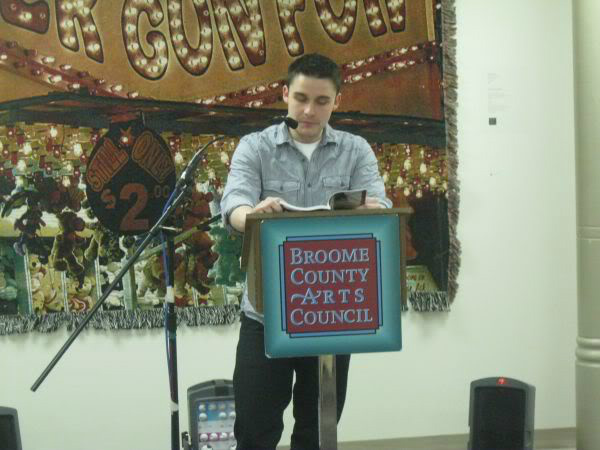 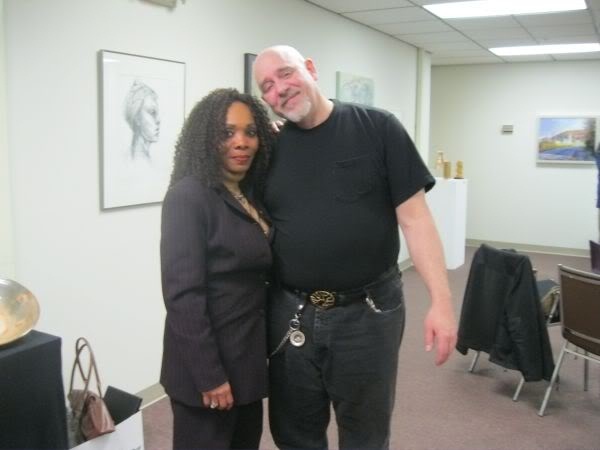 Binghamton Poetry & Writer's Group President & Founder Marilyn E. Garcia and Member J. Barrett Wolf at Perform at the Broome County Arts Council in Binghamton, New York.